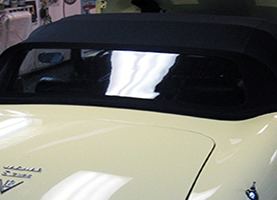 The Convertible Top Man has been restoring luxury cars and replacing convertible tops for 40 years. You can count on The Convertible Top Man to perform high-quality custom work on luxury automobiles. Serving Atlanta, GA and the surrounding area, The Convertible Top Man has been providing customers with excellent service for 40 years. 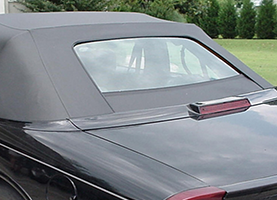 I specialize in the replacement and installation of factory installed convertible tops on a wide range of makes and models, including classic and antique cars. I also offer custom work on luxury cars and can even provide all the accessories you need. I are fully committed to your satisfaction and have all the experience required to do the job well the first time. Kenny McCombs, operator and owner of The Convertible Top Man, believes in providing valuable services at excellent prices, and that belief is reflected in everything I do. All of my work is fully customized to meet the particular needs of your car—I never take a one-size-fits-all approach, and I make sure I am fully acquainted with your car before beginning a project. 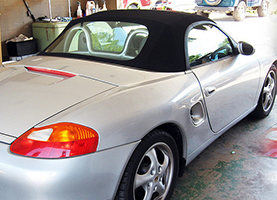 Whether I am installing a replacement convertible top or helping you with your restoration of a classic car, you can trust me to provide quality services. I strive to make myself available wherever you need me, 6 days a week. If you cannot get away from your home, office, or anywhere else, do not worry—I can come to you. I can perform installations anywhere. Even if you have a complicated custom restoration project, I will still be happy to come by to give you an estimate for my services. I have replacement parts available for a wide range of makes and models and the experience needed to work on just about any project. For fast, efficient, and experienced services, come to The Convertible Top Man. I can replace your damaged convertible top or provide the parts and accessories you need to restore your classic car. Call or visit me today to get an estimate on your project.